The crunchy oatcakes I made earlier this year were the start of a new baking passion: baking with oats. Having experimented extensively over the past few months, baking with oats has become my new favourite thing. I put together this mini-guide as an introduction to this fabulous bread baking ingredient and you’ll also find my favourite oat bread recipes below. To start with, here is an introduction to the characteristics and baking properties of oats. According to Coeliac UK, oats contain avenin, which is a protein similar to gluten. However, research has shown that most people with coeliac disease can safely eat avenin. Please note though that oats are often processed in the same places as wheat. Looking for oats which are not contaminated with wheat is therefore recommended for coeliacs. Comparing oats to wheat on nutritional terms, oats have a higher fat content (11% in oats versus 4% in whole-wheat). The amount of dietary fibre is pretty much the same but oats are also higher in calcium and iron. Due to natural high oil content, adding oats to dough softens the crumb and adds chewiness and moistness to the crumb. Oat flakes are also a good choice for bread toppings as they lend additional crunch, texture and a beautiful pattern to crusts. When baking a leavened loaf with oatmeal, it’s best to combine it with strong wheat flour in order to produce a light loaf. That said, you can produce a delicious and unique loaf of oat bread using 100% oats, please see the recipe below. Oats come in different shapes and forms. However, almost all variations have the same nutritional values based on the fact that the whole oat groat is used in the production process. 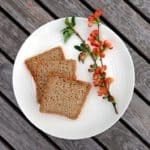 What I love about all of the following oat bread recipes is the velvety texture of the crumb and added richness the oats provide. Try one or all of these and find fall in love with oat breads! 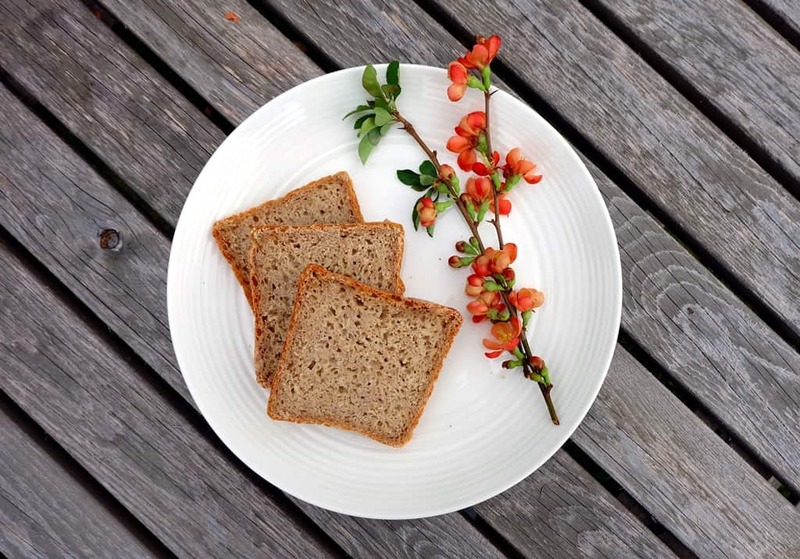 A light yet deliciously wholesome loaf of bread using whole oat groats and a small amount of fine oatmeal in combination with strong wheat flour. This recipe uses no wheat flour, only porridge oats mixed with crushed walnuts and combined with egg and yoghurt. A large loaf of oat bread with a pillowy crumb texture and rustic crust. Great for breakfast and sandwiches. Prepare the sourdough by combining the sourdough ingredients in a bowl. Cover and keep at room temperature for 16 - 24 hours. At the same time, prepare the oat soaker by dry-roasting the rolled oats in a big frying pan. Transfer to a bowl, pour over the hot water, cover and also keep at room temperature for 16 - 24 hours. The day after, prepare the main dough by combining the sourdough, oat soaker, wheat flour, rye flour, water, salt and yeast in a large bowl. Knead for a good few minutes until you have a homogeneous and even dough. Place the dough back into the bowl, cover and rest at room temperature for about 2 hours. Give the dough another quick knead, then place in a large lightly-oiled Pullman baking tin (33 x 10 cm). Cover with the Pullman tin lid and leave for several hours at room temperature to proof. In my relatively cold Edinburgh flat, it took a good seven hours for the bread to be fully proved. It should roughly double in size. Bake in a preheated oven, starting at 250°C for the first 10 minutes, then turning the temperature down to 200°C for another hour.